A puppy, like a young child, needs to learn good manners. You, as a dog owner, need to teach your dog how to behave. Dogs do not know how we would like them to act and need us, as dog owners, to teach them how to live with us. 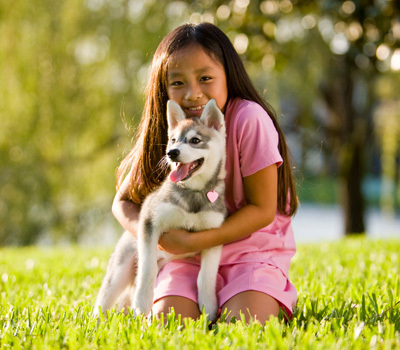 Here are some tips to train your dog on being a good family member. Since we are asking our dogs to change their natural behaviors to fit into our lifestyle we must remember to always make training a fun experience that both you and your dog enjoy. Rewarding your dog with praise, treats, and pets will help him understand what you want to teach him.